As I write these lines I am sitting in a conference on the Chemistry and Biology of Natural Products (CBNP11).1 As a physical chemist, I am a bit of a stranger to this side of science: the speakers are largely researchers of biosynthesis, bioengineering and biotechnology. But I signed up in the spirit of expanding my knowledge and fostering a multidisciplinary attitude towards science. Antibiotics dominated much of the conference: halfway through day one and already half of the talks had been about antibiotic medicines. This is a growing trend in academic circles. Only a few months ago I listened to a presentation by a student reading for a PhD in mathematics also looking into medication in the twenty-first century. The message of the vast majority of these presentations isn’t a positive one: scientists from numerous disciplines are desperately hunting new, more effective antibiotics as more become obsolete. How, then, have we moved from the initial steps made by Sir Alexander Fleming to today’s crises of medication? From these far-and-wide-reaching discussions, many research partnerships and entities have emerged, such as the Joint Programming Initiative on Antimicrobial Resistance, which joins 18 European countries and Canada in the efforts to resolve this threat. Many other such collaborative movements exist around the world. 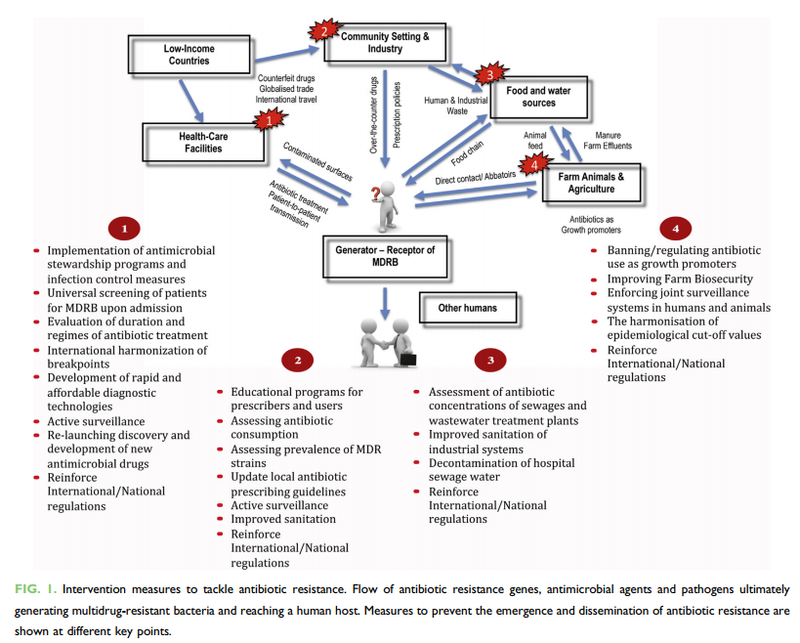 Apart from controlling the use of antibiotics, these entities have prioritised infection control in a healthcare context, fast diagnostic methods and promotion of research, for example, as some of the most important measures that should be taken to prevent the global spread of antimicrobial resistance. Finally, it is essential that the public perception of this issue is well informed and educated, since fearful people choosing not to take antibiotics has, ultimately, the same effect of people taking ineffective antibiotics: they will not be protected against infections that may be highly contagious and potentially fatal. It is important that doctors keep confidently prescribing antibiotics when they are truly needed and that patients feel safe to take them according to their prescription instructions – they are, after all, one of the most effective tools of modern medicine.11 In short, a tremendous amount of work is being put towards hindering antimicrobial resistance and making current medicine more resilient against it, but educating the public on the correct usage of antibiotics is essential. Mankind will circumvent the antimicrobial resistance crisis because, once the problem was identified by the experts, the world listened and a global coordinated response was set in motion. It was the same with the hole in the ozone layer, the end-of-the-world threat that I remember being told about so many times in school; once CFCs were identified as the problem and the world decided to ban their use completely with the Montreal Protocol, the damage to the ozone layer was halted and it is now in its merry way to a full recovery.12 The example of the ozone layer not only gives us hope for the resolution of the antimicrobial resistance crisis, but it also illustrates the true power of international environmental and scientific agreements – even if powerful world leaders refuse to recognise their worth.